Dolls & Party 2015 is an event where all kinds of collectible dolls are wellcome. While the first edition was very focused on BJD (Ball Jointed Dolls), this year, other dolls such as Pullips and Blythes have a greater presence. The event aims to bring and make this hobby more accessible to their fans as well by congregating in one place companies, shops, dealers and artists from around the world. We also aim to make the hobby more well-known. Dolls & Party 2015 is organized by the Association Dolls & Party (tax identification number G66274796), this being a non-profit entity. The money, once the costs of the event are covered, is donated to organizations of social and charitable nature. We didn't chose our name without a reason: we plan to offer a real party for you and your dolls. Dolls & Party 2015 will be held on Saturday July 4, 2015 in the Ballroom of the Hilton Diagonal Mar Barcelona, an area of 1,000 m2 which will host the 2nd edition of the event. Address: Passeig del Taulat 262-264, 08019 Barcelona. Where can I go to have a meal? This year the event location is right next to the Diagonal Mar shopping center which offers a host of restaurants and bars where you can taste from Japanese food, going through the typical American food and fast food or local cuisine. You can also find ATMs, a cinema, a hypermarket, recreation areas and 240 stores. Want to unwind and take pictures? A little kitkat and hangout with friends? The staff have also considered this! 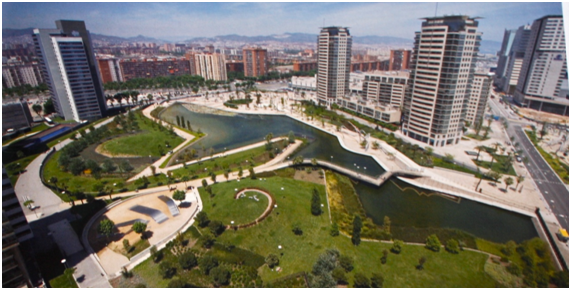 Right next to the shopping center you will find the Diagonal Mar Park, 14 hectares distributed in 7 large spaces. A large park where you can relax, have a snack or take pictures to your dolls, alone or with other visitors of the Dolls & Party. Wait... This is Barcelona! Where is the beach!? Would you like to stroll along the promenade or visit the beach? No problem, the event is located just 10 minutes from the beaches of Barcelona.